Mumbai: UltraTech Cement, India’s largest cement firm, reported a more than doubling in second quarter profits on Thursday helped by a low base, even as the company warned that high input and energy costs and a market surplus would squeeze margins going forward. 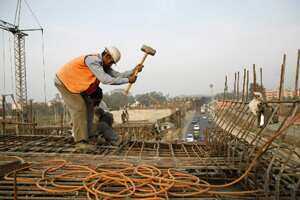 Cement demand in India, the world’s second-largest producer after China, has declined in recent months on a slump in the construction and real estate industries due to high interest rates and growth moderation in Asia’s third-largest economy. “Variable cost rose by 14% (during the quarter) because of the increase in input and energy costs. The 30% increase in the price of domestic coal, continuous rise in prices of imported coal together with escalation of freight costs... have constrained the company’s performance," the firm said in a statement. “Growing input costs will result in a squeeze in margins." UltraTech said that net profit in the quarter to end-September stood at ₹ 279 crore ($56.8 million) from ₹ 116 crore a year previously. Net sales rose 21.6% over the same period to ₹ 3910 crore ($795.4 million). Net profit and sales were however sharply lower than ₹ 683 crore and ₹ 4365 crore reported in the April-June quarter. UltraTech, part of the diversified Aditya Birla Group, and major competitors ACC , Ambuja Cement and Jaiprakash Associates account for around 50% of India’s cement market. Shares in the firm recovered after the results to a fall of 0.5% at 0800 GMT in a Mumbai market down 1.7%, after trading down as much as 2.6% on Thursday.